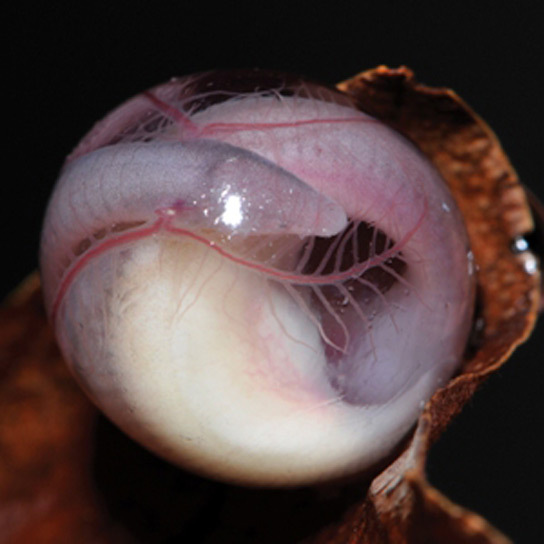 An entirely new family of limbless amphibians has been discovered, hiding away in the soils of northeastern India. The creatures are part of the caecilian order of amphibians, which look more like earthworms than frogs or toads, and can grow to be more than a meter in length. In total, seven new species of these limbless, soil-dwelling amphibians were discovered by a team of researchers that spent 1,000 man-hours digging. This discovery adds a major branch to the amphibian tree of life, states Sathyabhama Das Biju of the University of Delhi. They published their findings in the journal Proceedings of the Royal Society B. The creatures build underground nests and brood their young there, like the Chikila fulleri does in the photos shown above. The researchers found more than 500 examples of the new family of caecilians in 58 different locations. 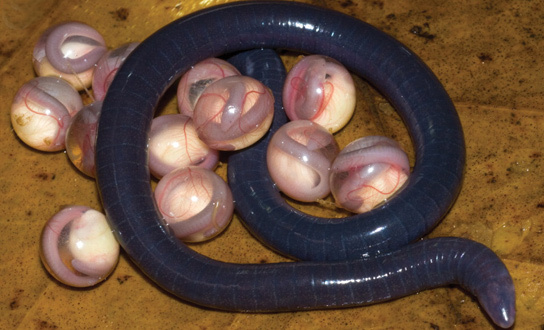 The tropical caecilian amphibians (Gymnophiona) are part of the least known order of tetrapods. The species is from an unexpected sister-group relationship with the exclusively African family Herpelidae. They diverged in the Early Cretaceous, about 140 million years ago. Further explorations and conservation actions are urgent because the region’s biodiversity is under threat from the growing resident human population and rapid deforestation, states Biju. 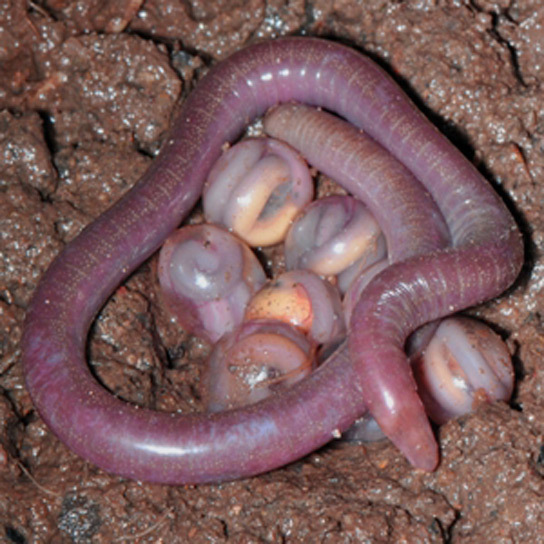 Be the first to comment on "Limbless Amphibian Family of Caecilian Order Discovered In India"